The course includes visits from guest speakers, educational conferences, national competitions, residential trips to New York and Washington D.C. Many students go on to study business-related degrees. Others use their knowledge to pursue business-related careers and interests, including setting up their own business. 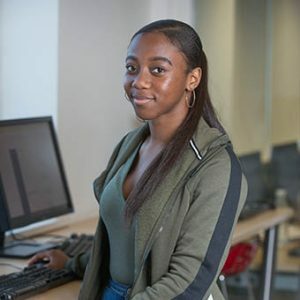 BTEC Applied Law lets you explore our legal system, the people in it, who influences our law-makers and what happens when you break the law or someone wrongs you. A Level 3 Diploma is ideal for those who enjoy studying in a practical, work related way. After studying BTEC Applied Law you will be able to apply legal theories to case studies, topical examples and scenarios whilst debating legal issues that affect our lives. Read more about Sasha and some of our other students.